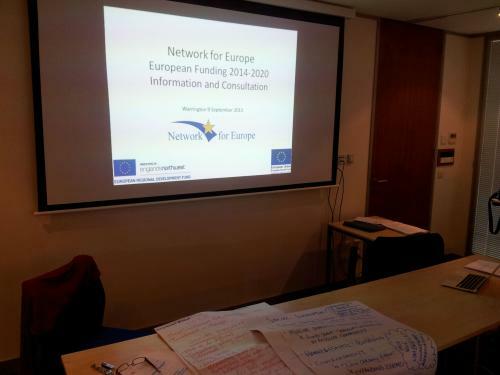 Staff from Network for Europe were on hand on the 9th of September 2013 to provide background, context, guidance and EUi expertise at an event held by Learning Together Cheshire and Warrington (LTCW) and Warrington Voluntary Action on the future EU programmes in Cheshire and Warrington. The event was to consult with local voluntary and community sector organisations that work in the area and identify potential areas of activity for Social Innovation and Community Led Local Development. The LEP is currently compiling its Investment Strategy for the sub-region and LTCW is supporting the LEP to ensure it meets its responsibilities to include activity which supports social inclusion and social innovation. If you would like to feed into this process please contact LTCW. Please note that the turnaround for feedback is short, LTCW will produce the final report on 20th of September.